OL#64, OA#64. [label]: Mrs. Robert Arenson, North Shore Road, Oswego, Oregon. Description Matted on cardboard, scanned as b & w. Same as 845a, c, d, & 1645. Now the McVey St. Bridge. [caption]: South town. 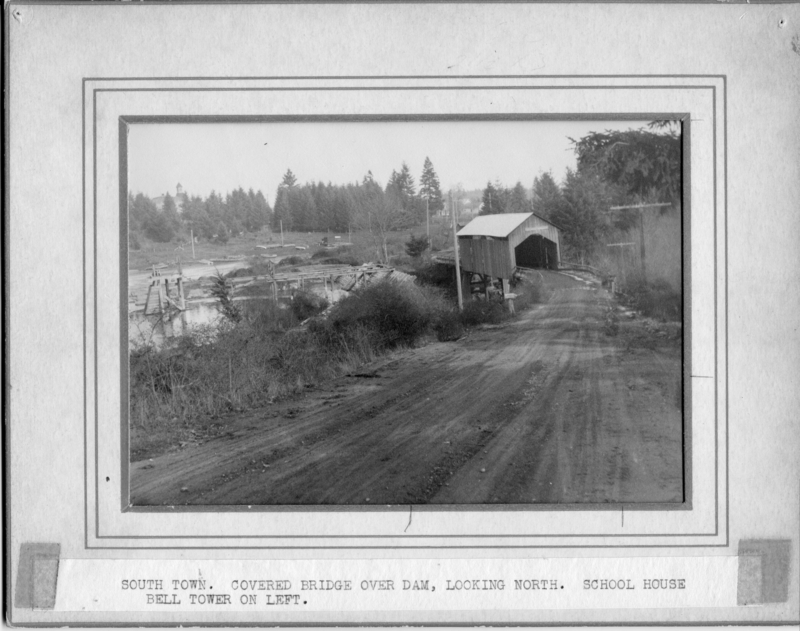 Covered bridge over dam, looking north. School house bell tower on left. Transcription OL#64, OA#64. [label]: Mrs. Robert Arenson, North Shore Road, Oswego, Oregon. Physical Description H 7.5" x W 9.5"